License tasty recipe videos from the Health eCooking® test kitchen. Baldwin Publishing produces tasty recipe video content and beautiful food photos that increase traffic to websites, social media sites, blogs and apps. 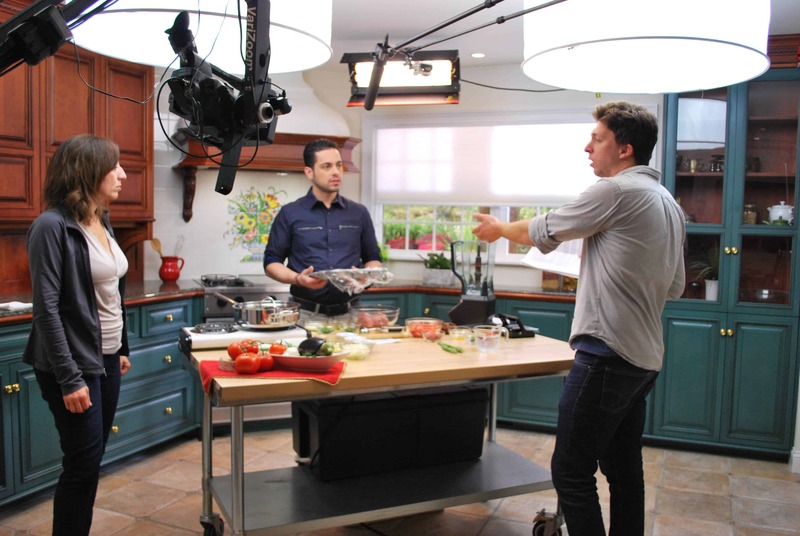 Every food video includes a chef-tested recipe developed in the Health eCooking test kitchen and all video content is professionally produced in Baldwin’s contemporary kitchen studios. Our PLR food videos and photos are easy to customize with your brand. Choose from hundreds of tasty recipe videos. Brand your favorite food video – then post it! Want to generate thousands of views and likes on Facebook and Instagram? Post family-friendly cooking videos! We’ve selected Health eCooking©’s most popular holiday recipes and created short videos for Facebook and Instagram. Customize these videos and add your brand. Kid-friendly recipe videos get people clicking and sharing – especially when they feature fun holiday foods. Grab your community’s attention with engaging seasonal recipe video content. Baldwin Publishing’s healthy kids food videos entertain kids and parents alike. Videos come with easy-to-make recipes for family favorite meals. Seasonal and holiday-themed cooking videos feature foods kids love. These Health eCooking recipes have less fat and fewer calories than fast food – and make healthy eating fun for the whole family! Select recipe video content for healthy meals and snacks to keep kids well fed all day. Customize these bite-sized videos of Health eCooking recipes and kitchen hacks. Then post the videos on social media where they will deliver thousands of views. Entertaining social media videos demonstrate step-by-step cooking instructions of tasty recipes. Every social media recipe video is designed to feature your brand. You can change the music, revise the text and add your product ingredient list. Videos are available as MP4 files. Heart healthy recipe videos, diabetic cooking videos, weight loss videos and gluten-free food videos show how to cook easy recipes that are certified “healthy” from Health eCooking dietitians. Heart healthy and diabetic recipes comply with American Medical Association dietary guidelines. Weight loss videos feature high-protein recipes under 400 calories. Gluten-free recipes are filled with flavor but contain no wheat, barley or rye. Health eCooking’s most popular recipe videos are available for a Spanish-speaking audience. Our Spanish cooking videos are inspired by healthy and delicious recipes and include step-by-step instructions demonstrated by an engaging Spanish-speaking chef. Food videos in Spanish help you connect with the Latino American population. Health eCooking’s library of food safety videos provides valuable information about how to avoid food-related illness in the kitchen. Hosted by a certified food safety educator, each video on food safety demonstrates important tips for selecting, handling, preparing, cooking and storing food safely. Help your community stay healthier with this video library of essential food safety information. To learn more about licensing recipe video content, or to schedule a product demo, give us a call at 800-705-6522 or complete the form below.